The Boston FBI agent that killed Ibragim Todashev – a friend of Boston Marathon suspect Tamerlan Tsarnaev, was justified in fatally shooting him, a Florida prosecutor said. 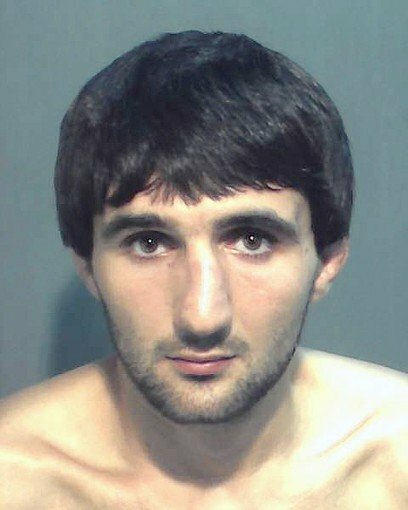 The prosecutor said Ibragim Todashev was a “fearless fighter” who brandished a long metal pole as he attacked the agent and a Massachusetts state trooper who had been interviewing him in his Orlando apartment. Shortly afterward, the Department of Justice’s civil rights division also cleared the agent. Ibragim Todashev sustained seven gunshot wounds in the incident, according to an autopsy. “My conclusion, based upon the facts presented to me in this investigation, is that the actions of the Special Agent of the FBI were justified in self-defense and defense of another,” State Attorney Jeffrey L. Ashton said in a letter communicating the findings of his investigation to FBI Director James Comey. Ibragim Todashev, a 27-year-old mixed-martial arts fighter, had allegedly just confessed to a role in the 2011 killings of three Waltham men, a crime in which Tamerlan Tsarnaev has also been eyed as a suspect. The letter said that two Massachusetts state troopers and the FBI agent interviewed Ibragim Todashev for 4½ hours during which he admitted “some involvement in the triple homicide that was under investigation”. One of the troopers left the room after Ibragim Todashev agreed to prepare a written statement describing his involvement. Ibragim Todashev’s demeanor changed at that point, the letter said. While neither the trooper nor the agent left in the room was looking, a coffee table “is propelled into the air” striking the FBI agent in the head. Ibragim Todashev ran to the kitchen and could be heard rummaging through drawers, apparently looking for something, the letter said. The trooper then allegedly saw Ibragim Todashev “moving in his direction carrying a long pole of some sort … with the end of the pole pointed toward him as if intended to be used to impale rather than strike,” the letter said. The FBI agent fired three to four shots from his .40-caliber Glock 23 pistol at Ibragim Todashev as he advanced. Ibragim Todashev was dropped to his knees but was not incapacitated and “immediately sprung toward the officers in what the [trooper] describes as a low angled lunge”. The FBI agent fired three to four more shots, incapacitating and killing Ibragim Todashev, the letter said. The law enforcement agents knew of Ibragim Todashev’s history as a skilled martial arts fighter, having reviewed his fights on video. They were also aware of recent violent confrontations he had been in both Florida and in Massachusetts, the letter said. At the moment of the final fray, Ibragim Todashev had easy access to a door behind him to flee, but instead of fleeing, he appeared to choose to fight, the letter said. “There is no evidence of close range firing in any of the gunshot wounds,’’ the report said. The medical examiner said six bullets were recovered from Ibragim Todashev’s body. The report marked the first detailed public findings about the fatal shooting of Ibragim Todashev since the May 22 incident. The FBI’s own internal review was completed months ago, and it was awaiting the final review by the Department of Justice. For more than 10 months, the bureau refused to release the autopsy results or basic details, such as whether Ibragim Todashev was armed, leading to widespread skepticism about the integrity of the investigation. Ibragim Todashev’s father, Abdulbaki Todashev, a government official on leave in Todashev’s native Chechnya, a region in southern Russia, has said in the past that he would consider a wrongful death lawsuit against the bureau. He has also sent photos of his son’s bullet-ridden body to President Barack Obama and urged him to investigate the case.